The Mast Pod range offers a choice of sizes to allow installation of up to 4 standard or larger 20/20 maxi style instruments at the mast. Whether racing or cruising, our Mast Pods give you the best view of your instruments. 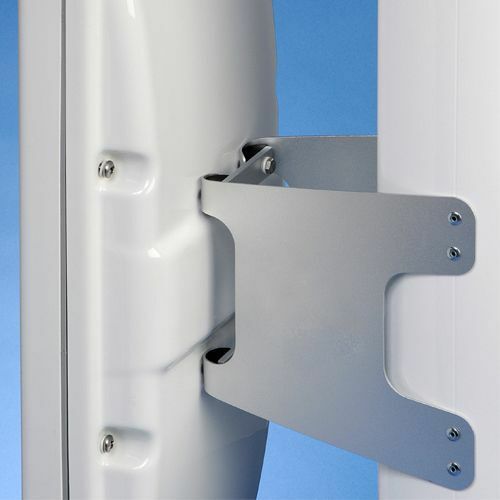 Universal Mount: the range has been designed to fit mast sizes from 76mm (3”) to 223mm (8.8”). Mast arms pivot about semi circular washers and an additional cross-brace provides stiffness preventing sideways movement. Increased Protection : Pod seal is manufactured from a high tear strength silicone, it has a very high resistance to heat and UV so you can have confidence that it won’t deteriorate over time. Supplied Uncut as standard.